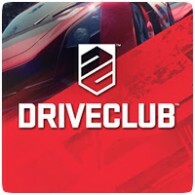 Evolution has release another update for DRIVECLUB, which has been available for over a week now, but still suffering from server issues. The latest update reveals that online friendly leaderboard and now up and running, and online connectivity has been improved to allow more players to connect. There is still no update on the PlayStation Plus edition of the game, which is frustrating Plus subscribers, and there is no mention of compensation for those who’ve purchased the full version of the game. If these issues continue, it’s likely that people will move on to newer games coming later this month and into November. After more successful upgrades and updates to the servers today, performance continues to improve and more of you will be able to play online together. We’re still working, and will be around the clock, to keep improving social connectivity and online play, and we are pleased to say we have also added in friendly leaderboards now. We will have info about more updates to the game and the servers soon. In the mean time, while this work continues, we are also paying attention to all of the feedback and comments you’re sharing with us too – so please keep sharing so that we can keep improving the game and giving you more to play for. What strikes us as odd is that Evolution is trying to solve the issue through game and server software updates, rather than increasing the number of servers available to gamers. Sure, it’s not an easy task to setup new hardware, but surely it will save time in the long run. What will happen when the PlayStation Plus Edition is finally released and millions of more gamers connect to the same infrastructure? This launch issue, dubbed #FailClub my many frustrated Facebook and Twitter users, is quickly becoming one of the worst game launches in history. And that’s after almost a year of delays to the game. It’s a good thing this game wasn’t a launch title for the PS4 as it could have cause serious issues for console sales.